Here is a look at the features that come with ajax live search. You can use the table below to check out which features are available on pro and which ones are available on both pro and lite. Ajax Live Search uses a combination of tf-idf and a couple of other factors such as assigning more weight to post titles when calculating their rank for a given search term. Unlike other WordPress search plugins, we also use advanced techniques such as lematization and stemming to increase the number of found search results. For example, when your customer searches for studying, we also return posts containing relevant words such as study, studied etc. The pro version takes this a step further. For example, when you mispell your query, it will automatically include the results for the correctly spelled query, hence a better search experience for your visitors. 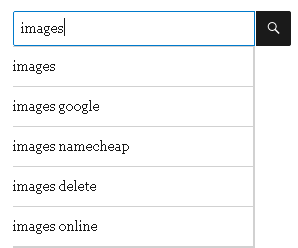 When you enable live search; results will be loaded whenever a user adds or removes a word from the main search box. Results are therefore loaded without even submitting the form. We chose to use word-based loading instead of character based loading so as to reduce server load. This is because addition of a single character is highly unlikely to affect the number of matching articles. Ajax search uses the same principle except that results are loaded whenever the form is submitted instead. The two features make use of ajax to load results without reloading the page, hence speeding up the search process and leaving your users more likely to find what they are searching for. For pro users, live search results will be loaded from the cache so you don't have to worry about your server performance. When you enable this feature; we will give the user a couple of query suggestions depending on what he/she is typing. It's pretty similar to what Google and other search engines do when you start typing on their search forms. What makes ajax live search stand out from the rest is that you have a couple of choices on what engine should provide the suggestions. When you choose to use the local database; you will be able to dictate whether to use post titles or the previous searches to show suggestions. Pro users can also chose between Google or YouTube. This is good when trying to minimise server load since the term suggestions are fetched from the cloud instead. Whenever a user searches, we save the searched keyword to your WordPress database so that you can analyse them later and user them to generate new content ideas or for SEO. You can view the statistics both in table form and as graphs. In order to generate you own statistics, download the previous searches (up to 1000) as a CSV file then open them using your favorite spreadsheet program. To get new content ideas, take a look at the popular searches that contain zero results and then use them as keyword ideas or to create new products. For example, if most of your users are searching for "Paleo Diet Tips" and not getting results, your can write a new article on it! This is only available in the pro version. 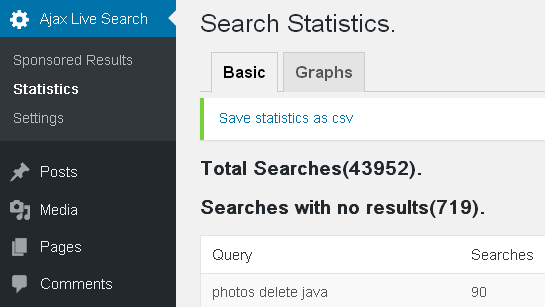 Whenever a user searches for a given term, we check to see if it's results exist in our cache. If they do, we fetch them. Otherwise, we query the database for results, save them in the cache and display that instead. 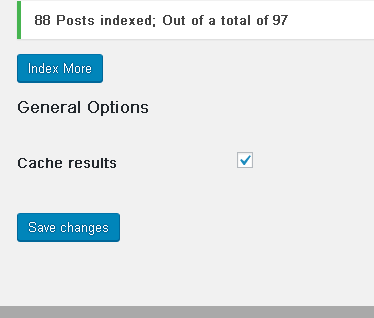 It works together with other caching systems since it only affects the results section of the search results page. However, unlike other systems; the cache is only updated whenever a new post is added to the index. This is because the order of search results only change whenever a post is added to the database. We again use stemming and markov models so that whenever a user searches for a phrase like 'writing an article', 'writing articles' or 'write an article'; we point them to the same cache instead of creating 3 different caches. This not only speeds up searches by more than 300%, but it also keeps the load on your server at a minimum. For affiliate marketers, you can configure ajax live search to do the marketing for you. Just like Google displays sponsored results at the top of their search results pages, you can also display relevant links to your affiliate products at the top of search results. This increases chances of conversions since the links are highly targeted to the user's intend. For example, when someone searches for a phrase like 'summer clothing advice', we query the database for sponsored results that contain the phrase 'summer clothing' (since 'advice' is a stopword). If we get a hit, we display it on the search results page; just like normal results are displayed, except it has a different background and we include the word sponsored result. i.e; we show a link (containing the title you provided) to the affiliate website and then add a description below it. Please visit the downloads page to get started using ajax live search. Buy securely via PayPal or credit card and save $30. Offer ends soon. You can ask for a refund anytime within 30 days of your purchase.